Celebrated Father's day at yet another A Wet's branch. Chosen this branch over A Wet Thai Village (Sawadee 88) as it's much nearer to my house and it serves non-halal food; I love pork! 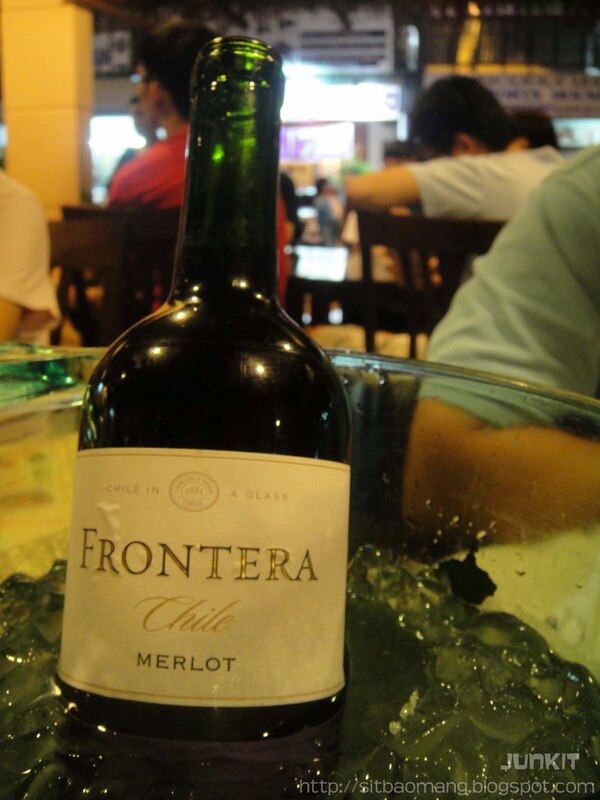 Bought a bottle of red wine for the bestest dad; who sacrificed time and energy to make a better living life for us. Thank you, sincerely, dad and mom. I'll return double the reward in near future. These words aren't expressed out in real life to him but it's always kept in heart to keep me aware. It's always hard to express out what you're thinking in real life huh? The first difference that you'll notice when you got ushered to your table would be the drinks that they serve. 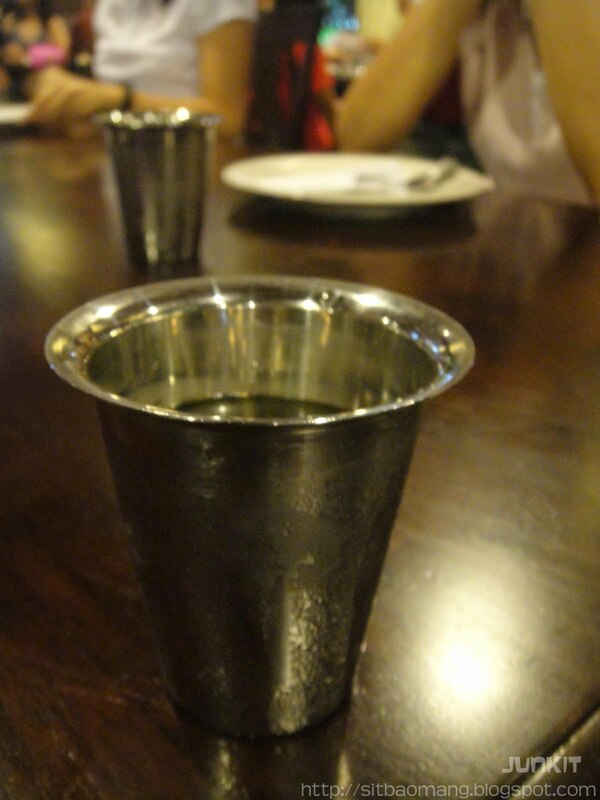 Instead of plain drinking water, A Wet serves pandan-infused water in aluminum cups. I especially like the aluminum cups as it keeps the water ice cooled for quite a period of time. 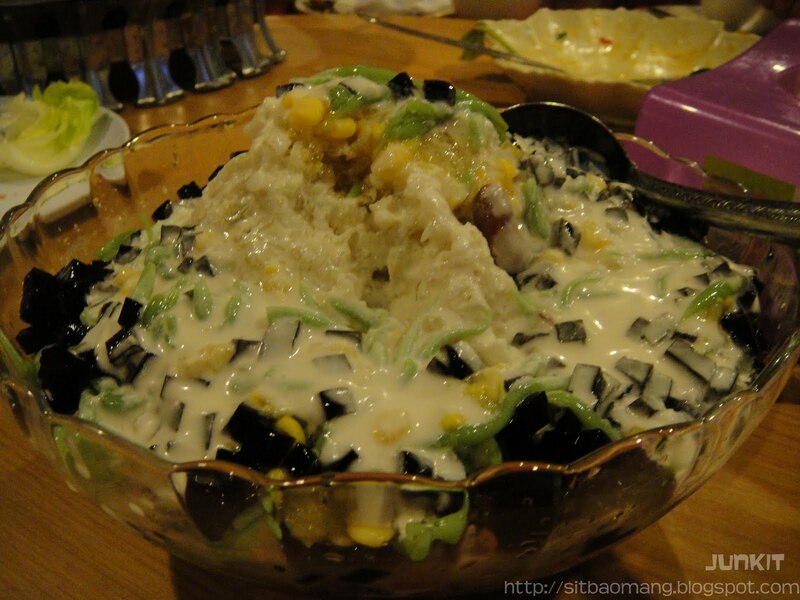 The water on the other hand takes quite some time to be get used; but otherwise it's okay if u could tolerate pandan. We ordered up a feast. 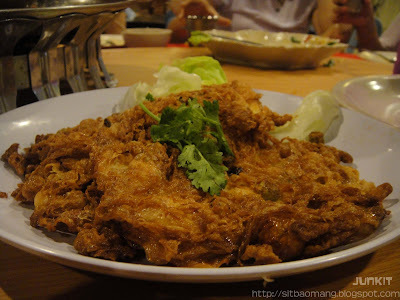 Thai Deep Fried Pork Trotter (RM 40.00). This is by far my favourite dish here at A Wet. 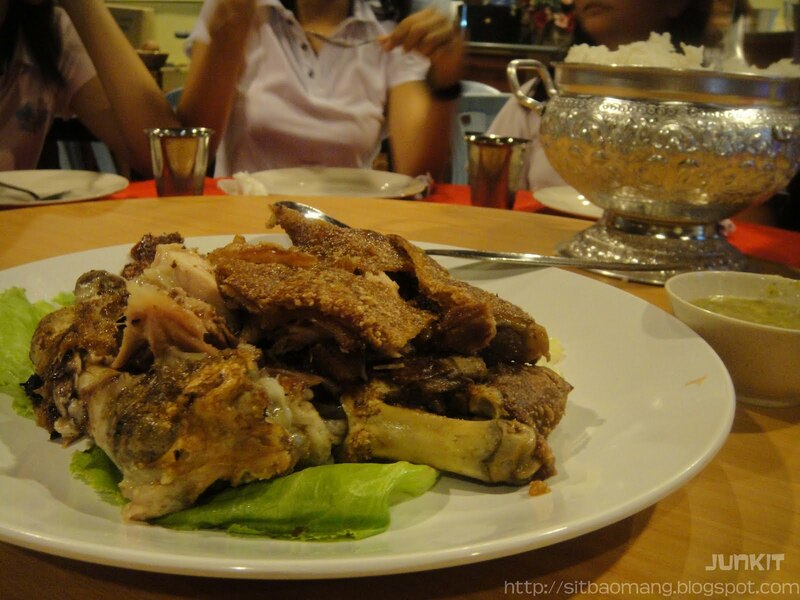 The very crispy skin and tender meat with a little accompanied layer of fat hits the spot every time! The long winded preparation method distinguishes this dish from other pork dishes. The trotter is firstly braised to cook till very tender. Then, holes are poked at the skin layer of the trotter; similar to the preparation of Siu Yuk (chinese roasted pork), before being deep fried. Interestingly, this works and both contrasting crispy and tender texture is resulted. The Thai chili that comes pairs very well too. 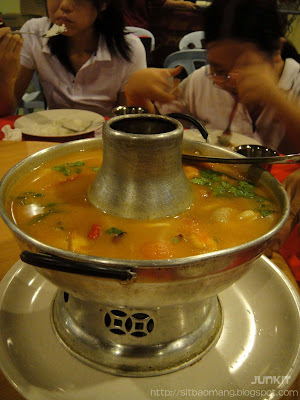 Red Tom Yam Seafood Soup (RM 7.80 per pax - we ordered 3 portion to feed 8 people). As usual, you couldn't go wrong with this soup at Thai restaurants. 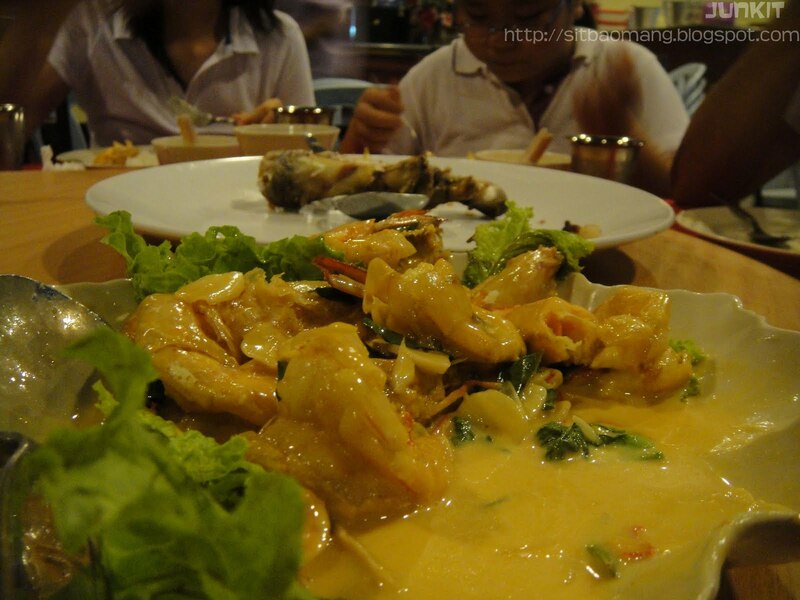 Creamy, fiery and comes with loads of seafood. 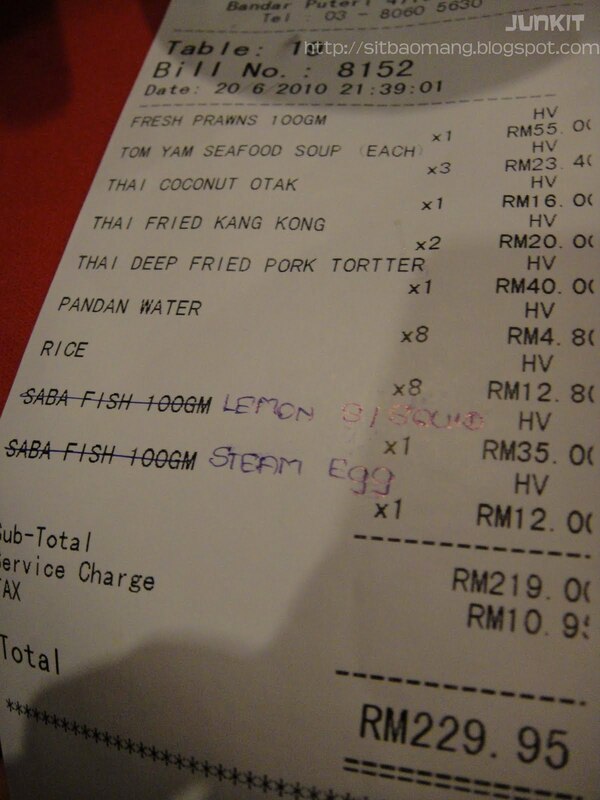 Very worth for money considering the quantity and seafood amount if you ask me. Butter Prawns (RM 55). This dish is a favorite among my siblings, mainly because of the gravy. The combination of milk, butter and curry leaves results in a very golden and creamy gravy. If given, I could go 2 rounds of rice with just the gravy alone, lol. The preparation seems simple but it's weird as we've been trying this dish at other restaurant but it doesn't just seems right. A Wet's version the best for us. The price of this dish is pricier as they are using large fresh water prawns with loads of sweet meat. The dish can also be substituted with other meat; chicken,fish, crab. Steamed Sotong in Sour and Spicy Gravy (RM 35). Had this at A Wet's Sawadee 88, and felt it's good to be reordered. 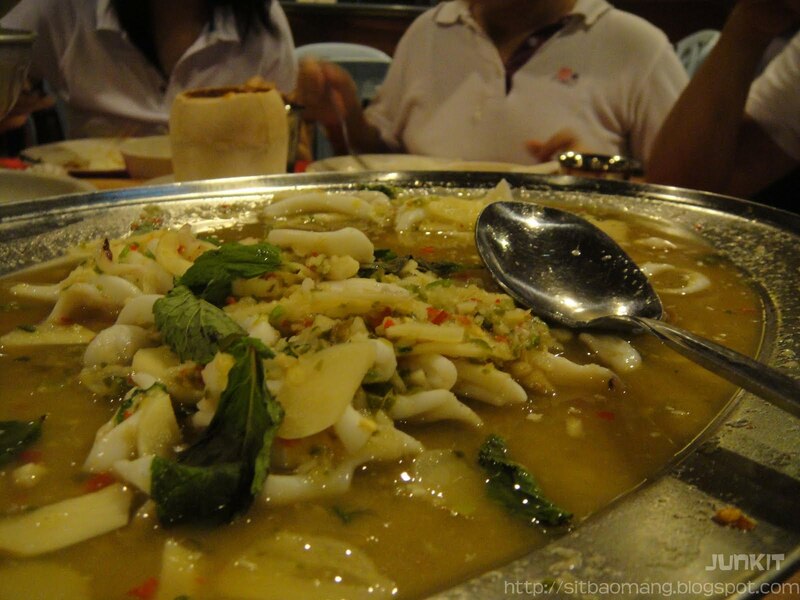 This dish is up to par as the other branch with very soft and chewy squid with addictive gravy. Thai Coconut Otak-otak (RM 16). A Wet's version of otak-otak is different from the ones we normally have in Malaysia. 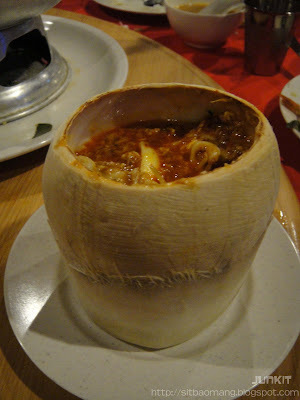 Stuffed in a coconut, I found that their otak-otak is a mashed up version with all kinds of seafood. This dish is also pretty spicy, considering I'm quite a spicy tolerant person. Nonetheless, it's perfect to be eaten with rice. 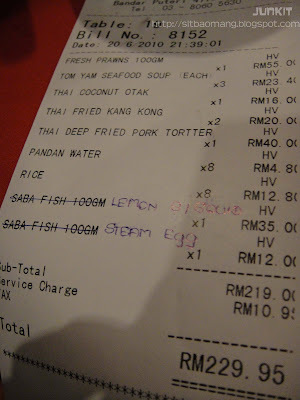 Thai Fried Egg (RM 12). Opt for this rather normal dish after being told the vegetable that we ordered are out of sold and left with vegetables that we do not fancy. Busy day huh? Well, I personally felt that besides the rather different looking visual appearance, the egg tasted almost exactly like our normal daily fried egg. Not really recommended, go for more authentic Thai dishes. 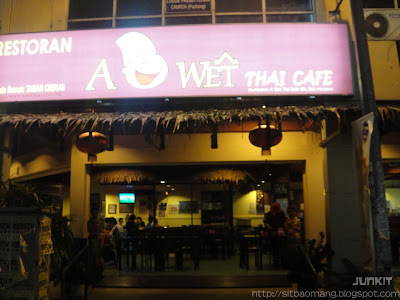 A Wet Thai Cafe is easily located at the end of the road of Jalan Puteri 2/5. Notice the rather bright sign board at night. I guess "A Wet" is a Thai name.